The Euros really are making up for the loss of football in the close season. We are two game days into the tournament and have now witnessed four very enjoyable games. There has been Arsenal interest in all the games so far and plenty of talking points have been raised from their involvement. 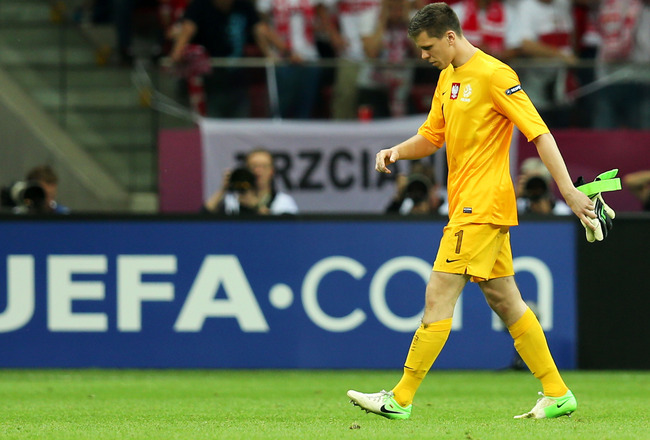 The opening showpiece of the Tournament involved hosts Poland and our keeper Szczesny had a game to forget. A very entertaining game all the same and after impressing and taking a one nil lead through a Lewandowski goal, Poland had the added bonus of Greece being down to 10 men after 2 dubious yellow cards for Papastathopoulos. Poland and our keeper decided they wanted to make the game difficult for themselves and proceeded to let the Greeks back into the game with a goal that was easily preventable. Szczesny probably shouldn’t have come out for the cross which led to the goal, the resulting melee led to an easy shot for Salpindingis to score the equalizer. If Szczesny thought it couldn’t get worse it did. The polish defence was caught flat-footed as a ball over the top left Salpindingis one on one with the keeper. Szczesny anticipated a first time shot and flew out with a trademark star jump to block but the player decided to take the ball around the keeper, Szczesny’s momentum carried him too far and he proceeded to upend the player. This resulted in a penalty and a straight red for the pole. The keeper didn’t question the decision and walked straight off. Luckily for Poland the substitute keeper who came on saved the resulting penalty. Amusingly Szczesny was pictured celebrating the save in the tunnel watching on a TV screen. The game ended at 1-1 but was thoroughly entertaining. The next game in the evening involved the Czech Republic and Russia. Both countries captained by Arsenal players Rosicky and Arshavin. This went on to be another entertaining game which ended up 4-1 to Russia. Andrei Arshavin had a fantastic game. Starting on the left of a front three our no.23 tended to play a freer role compared to what he normally does for the Arsenal. He really dictated all of the attacking play and although he wasn’t on the score sheet he definitely left an imprint on the game. Many gooners must have been wondering why he doesn’t produce that type of performance for the gunners though to be fair a lot more defensive responsibility is required in the Arsenal team. Some players really turn it on when playing with their countrymen as opposed to their club team; Arshavin seems to be one of those players. Though he has had his fair share of criticism when he has played for Russia it just shows he is human and doesn’t produce man of the match performances in every game for his country, but when he is good he is good. Poor Tomas Rosicky tried to rally his Czech Republic team but they were swept away by the more clinical (once Kerzhakov was withdrawn) Russians. The group of death matches played yesterday were really highly anticipated matches. It was clearly deemed Denmark would make up the numbers in the group as Holland,Portugal and Germany would fight it out for the top two slots. The Danes first test was against many neutral fans 2nd team Holland. A country with near flawless qualification achieved for the Euros and boasting our very own skipper Robin Van Persie in their line up. 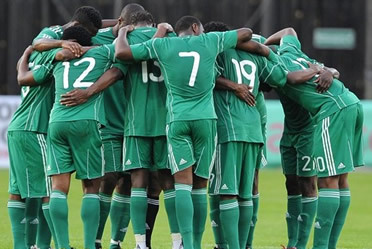 The game started off at a slow tentative pace but as the game wore on was slowly dominated by Holland. They bided their time and played some good intricate football, carving away at the Danes. What wasn’t part of the plan was the Danes going on to score the first goal. I suppose in a similar way to how Arsenal plays their football; they are most vulnerable at the back when they are on top. Robin wasn’t having the best of games and the TV cameras weren’t shy in zooming onto the face of Jan Huntelaar every time something didn’t come off for our skipper. 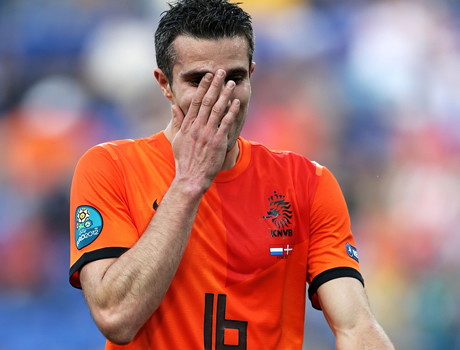 It has become an unwelcome distraction in the Dutch camp over who should be starting up front for Holland in the championships between RVP and Huntelaar. It clearly wasn’t going for Robin yesterday and interestingly Clarence Seedorf pointed out that maybe Robin was trying too hard to impress on the big stage which actually proceeded in affecting his performance. He missed a couple of chances that we have seen him gobble up for Arsenal last season and he also had one embarrassing moment of an air shot when unchallenged. The game actually finished 1-0 though Holland despite a flat performance really should at least have equalised; another culprit from the game was Arjen Robben who seems to have carried over his poor luck and decision-making from the champions league final. Arsenal target Ibrahim Affelay started the game well but faded later on, his start surprised a few due to his low number of games played last season due to injury woes at Barcelona. Nicklas Bendtner led the line for the Danes and did his part holding the ball up at times and linking play but never looked a goal threat throughout the game. 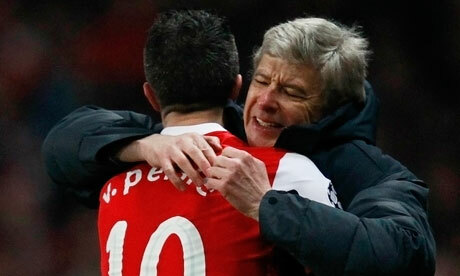 I guess he did what was asked of him by the management but to a neutral his game was easily forgettable and typical. Bad day at the office for the Dutch, wonderful smash and grab for the Danes and yet another fantastic game at the Euros. Going into the evening game yesterday Portugal and Germany would have been well aware of the result between the Danes and the Dutch. I suppose it was a chance for either country to take advantage of the slip up by Holland. It was a game for many gunners to have a look at Podolski close up. Per Mertesacker wasn’t included in the starting line up probably as a result of all the time he has spent on the sidelines leading up to the competition and the emergence of Matt Hummels. This game was a rather tense affair as two countries with aspirations of having a good tournament realised what was at stake and did not want to open up too much. Although Portugal was never deemed as strong as Germany they still posed a threat through Cristiano Ronaldo and Nani. Our new Gunner Podolski had an ok game; he fits in well with the German system and showed a very good hard work ethic tracking back helping out his team. That will be a trait that will go down well with Arsenal fans when compared with Bendtner per say as fans like to see effort on the pitch. Podolski was neat and tidy and efficient and though he didn’t score he looks like he will have a goal or two in him as the competition moves forward. The game itself did fall into a lull as no goals were scored first half and midway into the second half dare I say it the game was getting less and less interesting. Just when fans were calling for Mario Gomez to be removed he popped up with a goal. I believe Miroslav Klose was ready to come on for Gomez the next time the ball went out, luckily for him an opportunity arose from a cross and he managed to extend his neck muscles enough to connect with a cross from Sami Khedira. Game over, well not really as towards the final stages of the game Portugal took the game to Germany as nerves kicked in and should really have equalised when Varela had the ball break free to him only for Neuer to pull off a desperate save. All in all the least entertaining game of the four but still a decent game that came alive after the goal was scored. Today it’s the turn of Republic of Ireland,Croatia,Spain and Italy. No current gunners on show but there is an interest for former gunners Eduardo and Fabregas. Here’s to some more good games in an already satisfying Euro 2012.